This is the Notification List for the Managing Invasives class, a training opportunity for experienced FPCC Ecological Stewardship Volunteers with 15+ hours of reported stewardship experience or the recommendation of FPCC staff or a Site Steward. To register for the Managing Invasives IN-PERSON class on February 17, 2019, register here. This class is typically offered in Spring and Summer. Sign up to hear about upcoming training dates to become a Nature Ambassador outreach Volunteer. You may also sign up for upcoming tabling opportunities get practice before taking the training. At the training, we'll discuss how each of us fits into supporting the mission of the Forest Preserves and how to maximize our engagement with the public. A Nature Ambassador Outreach Volunteer represents the Forest Preserves at community events and internal Forest Preserve events. They convey information about Forest Preserves programs and opportunities by handing out informational materials, answering basic questions and signing people up for the Forest Way newsletter. 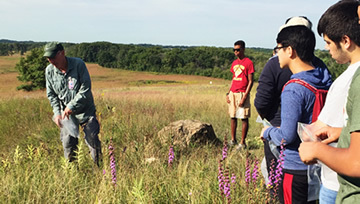 A Nature Ambassador Supporter is a representative of a group or community who builds and maintains a relationship between the Forest Preserves and their group/community. Chicago Wilderness will offer the Midwest Ecological Prescription Burn Crew Member Training in late September, early October. This training is based on the National Wildfire Coordinating Group's (NWCG) S-130 and S-190 courses, this training covers the basics of such topics as fire behavior, controlled burn techniques, and smoke management. The objective is to provide participants with the background necessary to safely participate on the crew of a controlled burn. If you already have your CW certificate, you can upload it, to your FPCC Volunteer profile and then you can place yourself in this opportunity to record your hours. Be a part of our rapidly-growing community of Trail Watch Volunteers. Attending a Trail Watch New Volunteer Training session is required to be a Trail Watch Volunteer for 2018. Learn about the program, meet Police and Volunteer Resource Staff and socialize with fellow volunteers. Become additional eyes and ears of our Law Enforcement Department. Be a visible presence to help make our preserves welcoming and inviting to all visitors, as you are out enjoying the preserves. A background check is required, see the attached document for a full Trail Watch Volunteer position description. This new Volunteer Training will be taught in January, April, July and October. New training dates coming soon! This is the Notification List for the Trail Watch - New Volunteer Training. You can also see if there are any currently scheduled classes. 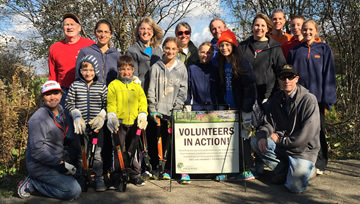 Be a part of the Trail Watch Volunteer Program. Attendance at a Trail Watch Volunteer New Volunteer Training session is required to be a Trail Watch Volunteer. Learn about the program, meet key people and socialize with fellow volunteers. The 2018 classes will be offered in January, April, July and October. Become additional eyes and ears of our Law Enforcement Department. Be a visible presence to help make our Preserves welcoming and inviting to all visitors, as you enjoy your favorite outdoor activities. A background check is required. See the attached document for a full Trail Watch Volunteer position description. Turnbull Woods Native Wildflower Hikes! Turnbull Woods oak woodland ecosystem is being restored to new health! Invasive shrubs have been removed bringing needed sunlight to wildflowers, grasses and oak seedlings. We will look for the ripening seeds of native wildflowers under the oaks. Help us "close the loop" between invasive species removal and native species renewal. All participants should dress for a day of outdoor walking. Please wear shoes/boots that may get muddy and long pants. Some binoculars will be available or bring your own. This is the Notification List for the Group Leadership Class, a training opportunity for experienced FPCC Ecological Stewardship Volunteers with 15+ hours of reported stewardship experience or the recommendation of FPCC staff or Site Steward. This class is typically offered in April, August and November. 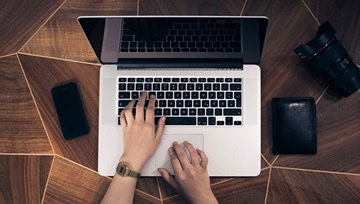 Click "Sign Up" to be put on a wait list and you will be notified when a class is posted and you can sign up for it (about 15-45 days before the class date).